Over the last decade there’s been an explosion in mobile phone usage. As marketers, we’ve had to adapt to this growing trend in order to stay relevant and continue to reach the right audience at the right time. Geo-Aware Ads: These are ads based on the real-time location of user. 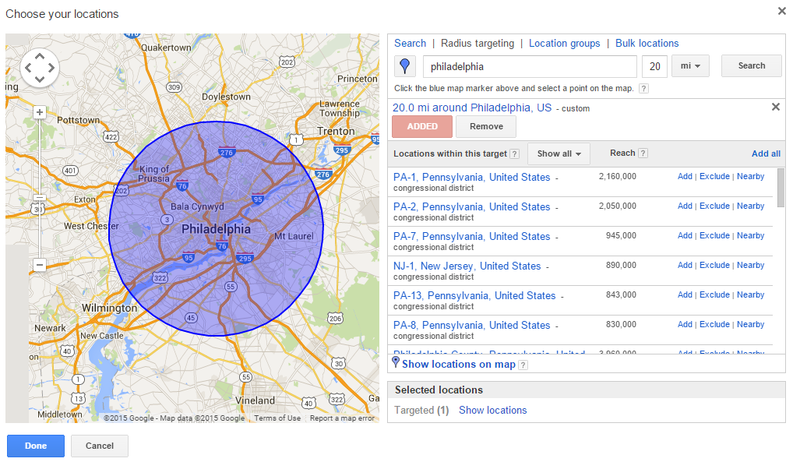 Geo-Fencing: Sets a perimeter around a location and sets ads in that area. 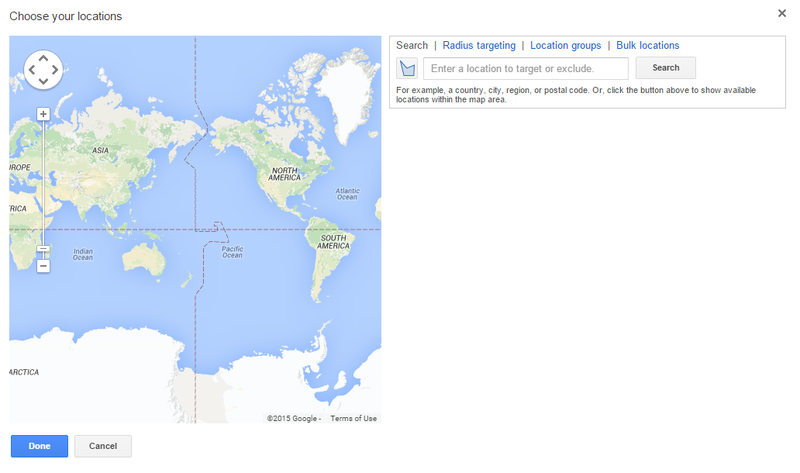 Geo-Conquesting: Similar to geo-fencing, but sets a perimeter around your competitor’s. 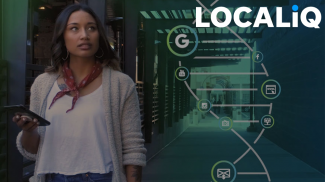 Companies like Google, Facebook, and Twitter have been toying around with geo targeting, but here’s a more in-depth look at proximity and geo targeting advertising. 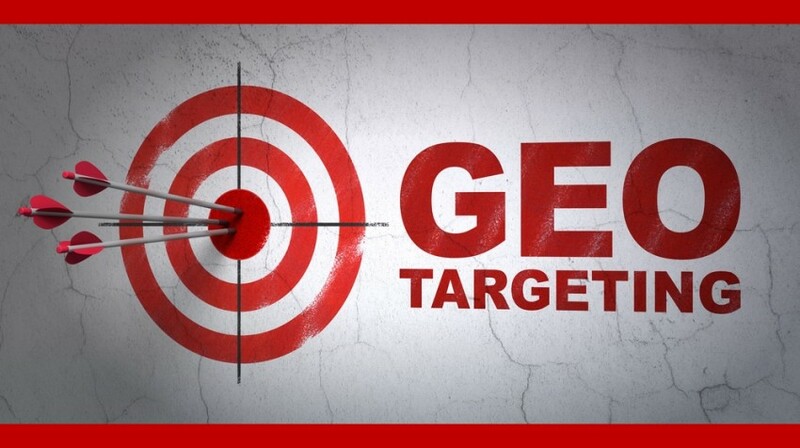 Basic geo targeting starts with targeting a larger area – US and CA being the default option. 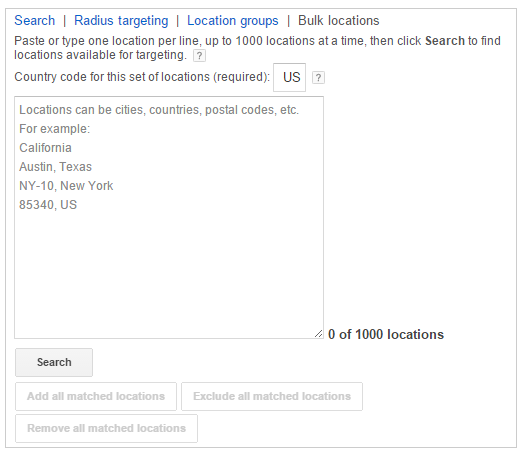 Notice you can choose specifically locations to target by either county, city, region, or postal code. It’s also important to note that you can also EXCLUDE certain areas. For example, if you wanted to only target the continental United States, you could choose to target the US but exclude Hawaii and Alaska from seeing ads. As mentioned above, when you click the “advanced options” link, the default map allows you to target ads based on a county, city, region, or postal code. If you haven’t gotten the memo, there’s a mobile revolution currently underway. According to Statista, by 2017 “more than 90 percent of internet users will access online content through their phones.” Additionally, research conducted by Business Insider has found that spending for mobile advertising will surpass $42 billion by 2018. 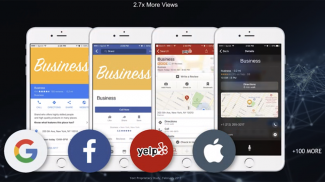 If you want your brand to remain relevant, then you have to take advantage of this trend by employing an interesting new tactic called proximity marketing. If you’re unfamiliar with proximity targeting, Forbes states that, “Proximity Marketing uses cellular technology to send marketing messages to mobile-device users who are in close vicinity to a business.” Marketers use a Bluetooth or WiFi signal to send content to potential customers who are in the proximity of a business in real-time. In other words, proximity marketing allows you to to reach the right person with the right message at the right time. So, if you’re a coffee shop owner, you could send a coupon to a customer as they’re approaching your shop to help lure them in. The benefits of using proximity marketing are too substantial to ignore. Not only are you able to connect with the right audience at the most opportune time, you have the ability to extend your reach and increase conversion rates. Keyword. You can select up to 10 keywords that are relevant to your business to increase visibility. Category. Select content categories that are relevant to your industry and Meteora will match you up with thousands of websites where you customers have visited. Geo Targeting. 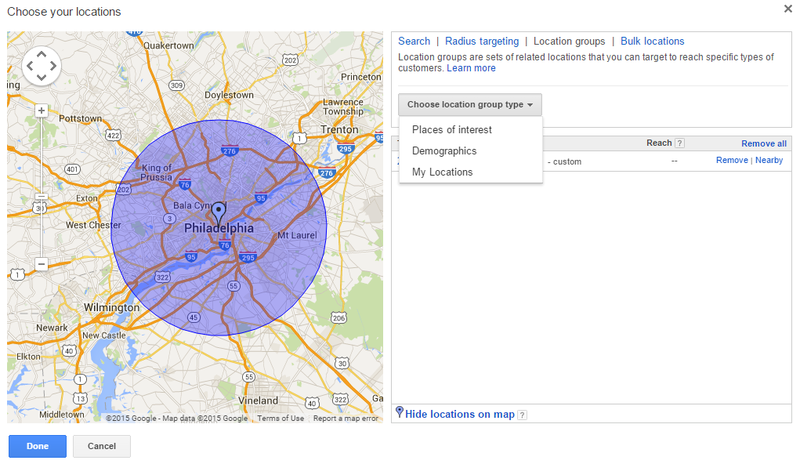 Through geo targeting you can reach audience members in a specific city or region. For example, you could focus on reaching wine drinkers in the San Francisco Bay area with ads to that audience in that area. 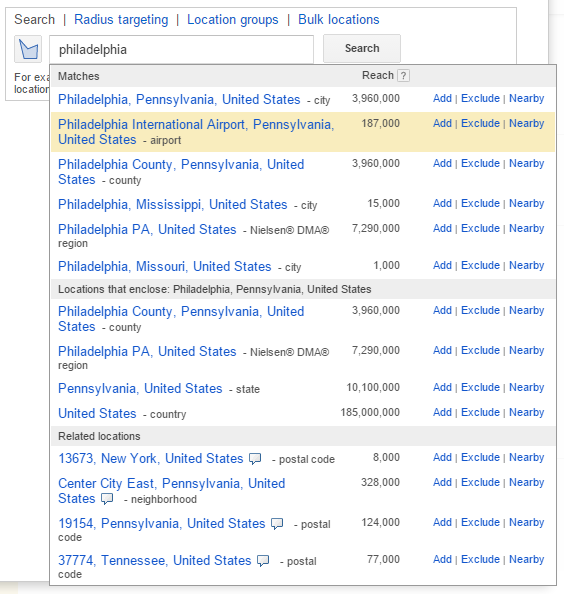 Furthermore, you can target your audience by where they’ve been in the world from within the last week, such as checking in a competitor’s location. You can then create a call-to-action to have them switch over. You can even target customers by upcoming weather forecasts. Proximity and geo targeting would be difficult to accomplish without the assistance of beacons and sensors. But, what exactly are beacons and sensors and how do they differ? A beacon is a Bluetooth concept that gives devices the opportunity to broadcast or receive data to devices like smartphones, tablets, or smartwatches to perform a desired action. Beacons are similar to GPS but are more precise. Bluetooth Low Energy (BLE) was invented by Nokia in 2006 under the name Wibree, but when Apple announced its version iBeacon in 2013, the possibilities became endless. BLE works like this. It’s a one-way communication where advertisements are broadcast through radio waves at various intervals. These messages are then sent to devices like smartphones where the recipient will receive an action like a push notification. UUID: A 16 byte string which is used to differentiate a large group of related beacons. Major: A 2 byte string where a smaller subset of beacons are distinguished between the larger group. Minor: Another 2 byte string that can identify individual beacons. Tx Power: This will determine proximity (distance) from the beacon. Let’s say that a customer walks into a brick and mortar location. The apps on their phone listen for beacons. When the app picks up the beacon, it communicates with the data information (UUID, Major, Minor, TX Power) to the server. 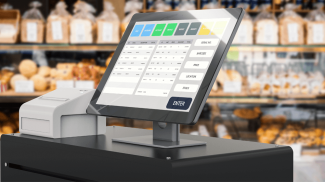 From there, marketers could welcome customers to the store with a push notification, send special offers, or send out reminders. Sensors, as defined by Microsoft, “are hardware components that can provide your computer with information about your computer’s location, surroundings, and more.” Through programs, computers can process this information and use it to enhance your everyday life. For example, the Internet of Things relies on sensors to help monitor and register changes in temperature, pressure, light, sound, and motion on household appliances. You could have moisture sensor to keep an eye on any water on the basement floor while you’re on vacation. There two types of sensors, the ones that are already built into a computer and sensors that are connected to to a computer via a wired or wireless connection. For marketers, you could use sensors to identify data about your products are being used, anticipate consumer needs, or share information based on a GPS location.